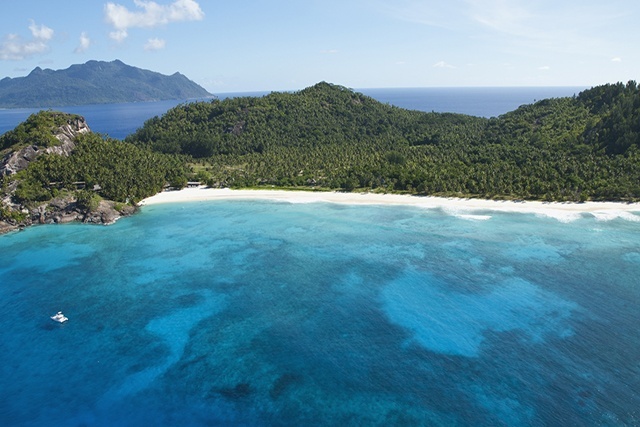 (Seychelles News Agency) - Seychelles' North Island won one of five National Geographic World Legacy Awards as the best tourism destination for preserving and restoring natural habitat. The award also recognized North Island for protecting rare and endangered species. The award is a partnership between National Geographic and ITB Berlin – the world’s largest tourism trade fair, which recognises the leading organisations, companies and destinations promoting sustainable tourism all across the world. It was the Noah’s Ark project that won the luxury eco-resort the ‘Conserving the Natural World’ category. Aimed at restoring the original splendour of North island, the project has successfully reintroduced many indigenous species such as the Seychelles Sunbird and the endangered Seychelles White-Eye back into the ecosystem. “We are thrilled to have received this significant endorsement from both National Geographic and ITB – it certainly inspires us to continue offering high-end ecotourism that is both authentic and sustainable at the same time,” Bruce Simpson, the Managing Director of North Island, said in a press release. Biologists conducting the programme, monitor all angles of the island’s ecology which contributes to a greater global understanding of migration patterns, sea temperatures, and the impacts of climate change. Over 100 entries were submitted for these travel awards and competing for the category with North Island was Mark Thornton Safaris of Tanzania and Misool, Indonesia. The winners were announced last month during a ceremony at the Palais am Funkturm, Berlin. The ceremony coincided with United Nations International Year of Sustainable Tourism Development 2017. The three finalists of all five categories underwent a rigorous on-site inspection. The other awards were for ‘Earth Changers’, ‘Sense of Place’, ‘Engaging Communities’ and ‘Destination Leadership’. Late last month, North Island was also featured in CNN’s article ‘The world’s most beautiful island hotels’.